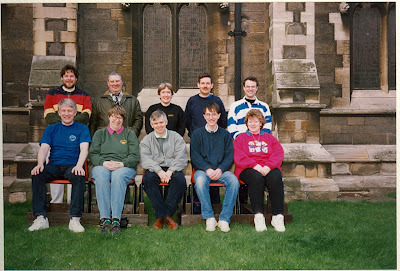 Six teams met on Saturday 22nd March 1997 for the 20th W W Worthington Cup competition held as always at the St Paul’s, Burton upon Trent. This peal of ten is not easy to strike well and all the teams were reminded of this in a practical way during the afternoon. Nevertheless there was some good ringing and the worthy winners were the Leicester Diocesan Guild. The judge Kingsley Mason placed them first with 131 faults. Second, third and fourth places were very close in terms of faults with Coventry Guild on 161, Peterborough Diocesan Guild on 168 and Lichfield Archdeaconry Society on 170. It was really good to have Peterborough enter for the first time and we hope to see them again. And they really made a day of it by coming in a full size coach (courtesy of reduced rates through Richard, their conductor!). In fifth place was Derby Cathedral on 207 faults and in sixth place was The Rest of Derbyshire on 356 faults. The latter teams actually rang an extra course of Little Bob at the end through a miscalling of the touch, and the 356 faults covered this as well. In times of ringer shortage generally it is amazing how Derbyshire have put up three competition teams on the day, one 12 bell team at Stourbridge for the eliminator and two ten bell teams here. And all this with Gordon and Pat Halls unavailable, being down under at their daughter’s wedding. The day was enjoyed very much. Three towers were open for general ringing, Winshill, All Saints, Burton and Repton. Visitors appreciated the opportunity to ring at all of them, particularly the Derbyshire tower with its lovely sounding bells, the very long draught (they appreciated this?) and its nice setting next to the school. The catering committee of St. Paul’s always does us proud with the provision of sandwiches, cakes, tea and coffee throughout the afternoon in the Church Hall at the rear of the church, and this provides an excellent focal point, and warm too! The president of the Midland Counties Guild, the Rev. David Morris welcomed the visiting ringers before making the draw for the order of ringing, which was Derby Cathedral, the Rest of Derbyshire, Peterborough D.G., Coventry D.G., Leicester and Lichfield. The judge had been installed in the usual ideal room on the first floor of a building just across the road from the tower and ringing began. The first band, according to the judge, tended to ring at two paces, with the leading not quite right, although the treble and the tenor were well struck. The second band failed to cope with the oddstruckness of the bells. Perhaps their extra course was intended to give them more time! The third band also fell victim to the oddstruckness, but bearing in mind that they were probably totally unfamiliar with the bells before today their performance was very creditable. The fourth band settled in quicker than the others, and their placing of second in the marking reflected the overall convincing effect. The fifth band, the winners, set off as if they meant business. If the tenor had eased off just a fraction at times it would have been even better, but anyway it was a very good piece of ringing. The sixth band had their efforts marred slightly by going a little too fast too soon. As the judge also remarked, after two or three courses of Surprise the ringing of each of the bands may have been quite different. Perhaps there is a suggestion here of a different sort of striking contest, where bands are judged on different days on certain sections of a peal or quarter peal, and where perhaps at the end of it there is a jamboree meeting where short touches are rung for the fun of it, the results are announced and everyone has a jolly good get together. Who knows? But for today the 20th W. W. Worthington Cup Competition came to an end with the conductor of the Leicester Diocesan Guild accepting the cup from our vice-president, Mrs. Valerie Worthington. “Keep ringing”, was the call she gave to the assembled ringers. “The Millennium needs you.” There is nothing more appropriate to the Millennium than bells, she said. Gordon and Pat Halls had again kindly sent along a bottle of wine for the winners and Mrs. Worthington gave this also to Andrew Higson, conductor of the Leicesters and the proud recipient of the cup. 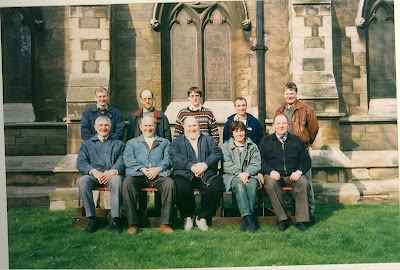 This win is the second by Leicestershire Diocesan Guild, the first being in the very first year of the competition, 1978. And as consolation for the team in sixth place their conductor was heard to say words to the effect that they at least had improved two places on last year whereas their colleagues from Derby Cathedral had slipped four places! Well, you have to clutch at whatever you can, don’t you? 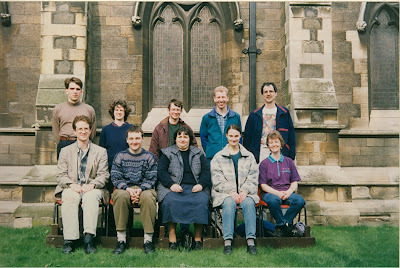 The date for the next competition is 4th April 1998, our coming of age at 21 years. Please make a note in your diaries. The clash with the 12 bell eliminator occurs only once every four or five years, so next year should be free of it. The Worthington date is always the Saturday which precedes Palm Sunday. 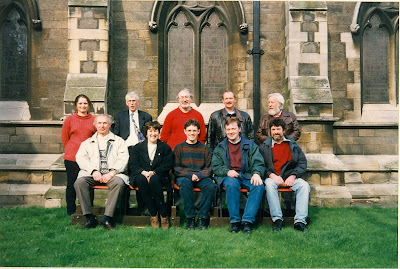 Jane Rogers, Christopher F Mew, Ruth M Border, A John Illingworth, Geoffrey W Randall, Michael Chester, Simon P Rogers, Edward C W Lupton, A John Illingworth, Simon P Rogers. 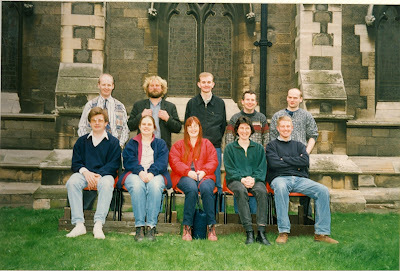 Stuart C W Hutchieson, Elizabeth Hutchieson, Zoe A P Rook, Rachel D Gordon, William J Hall, Philip A Ramsbottom, Vernon C Wright, Simon L Ward, David J Bateman, Andrew C Ogden. 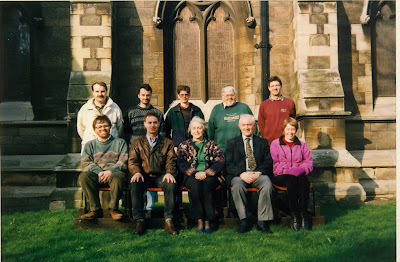 Robert J Marchbank, Richard L Taylor, Andrew J Burns, Meriel A Hughes, W Arnold Morley, Elizabeth Nowill, Clive W Longden, C Frederick C Pearson, Tony Laughton, Philip Mehew.